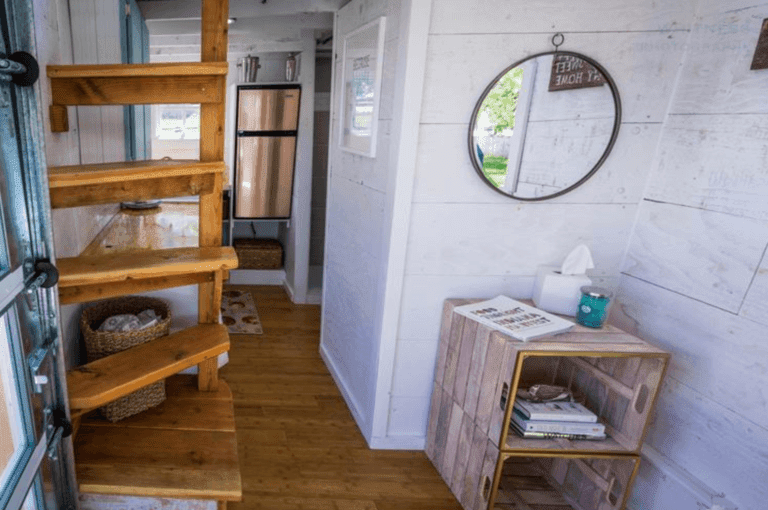 This beautiful, unique tiny house is currently available for sale in Zionsville, Indiana, for a pretty reasonable price at $35,000! 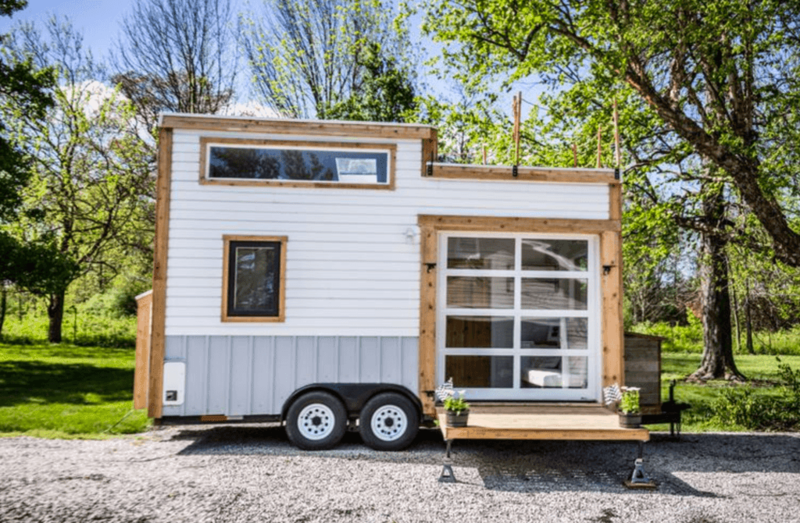 The home measures 18' x 8' and has an interior size of 200 sq ft. 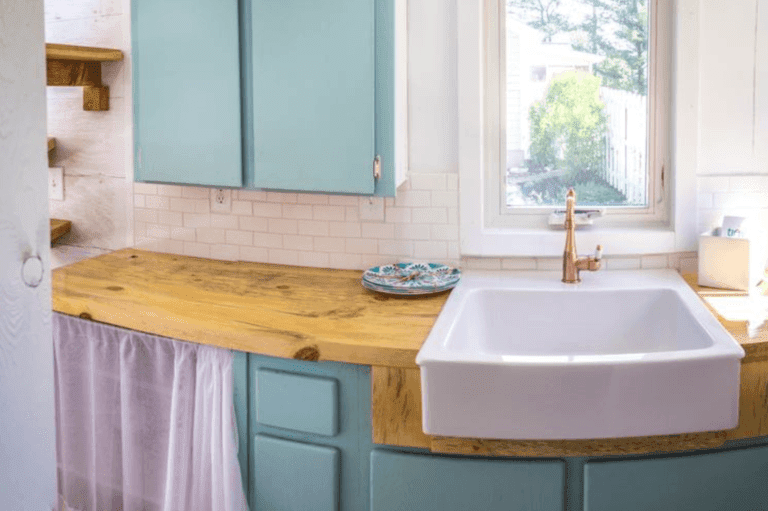 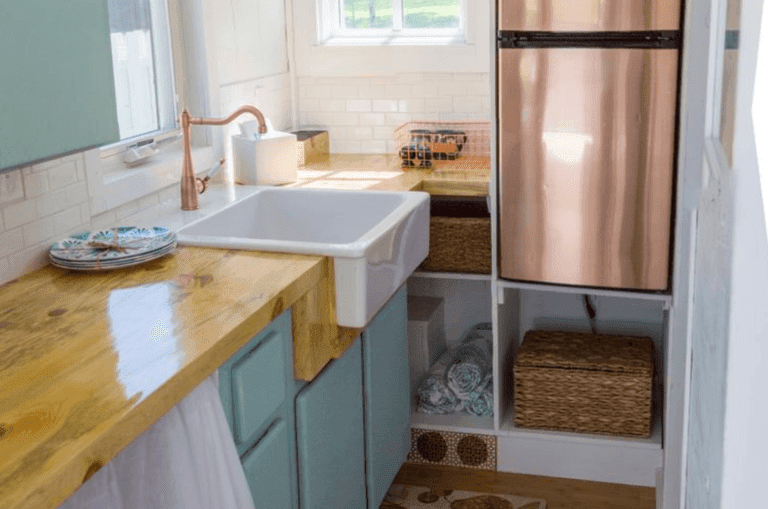 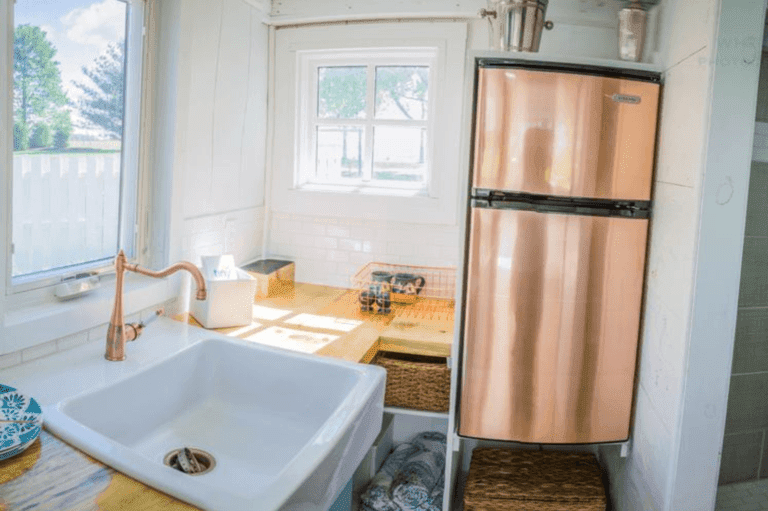 The kitchen comes equipped with a two-burner cook top, a fridge, farmhouse sink, and ample counter space. 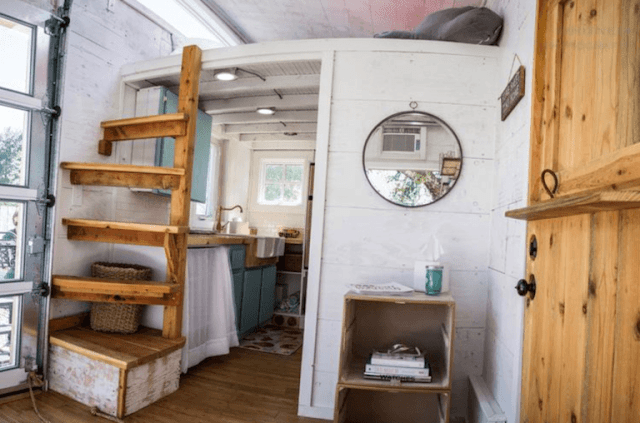 There's also a living room, loft bedroom, and a bathroom with a sink, shower, and composting toilet. 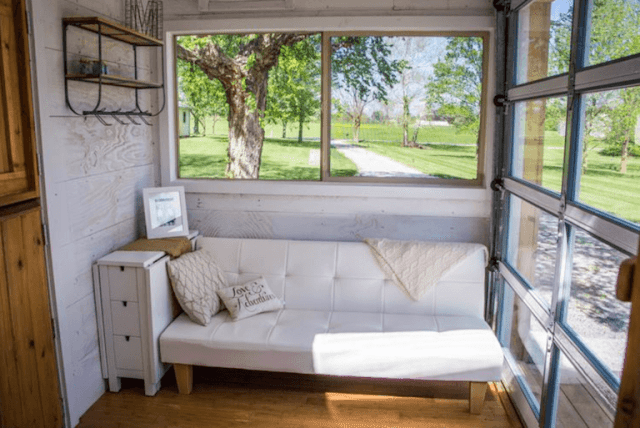 There's even a rooftop deck, drop-down patio, and a large glass garage door to let in plenty of sunshine! 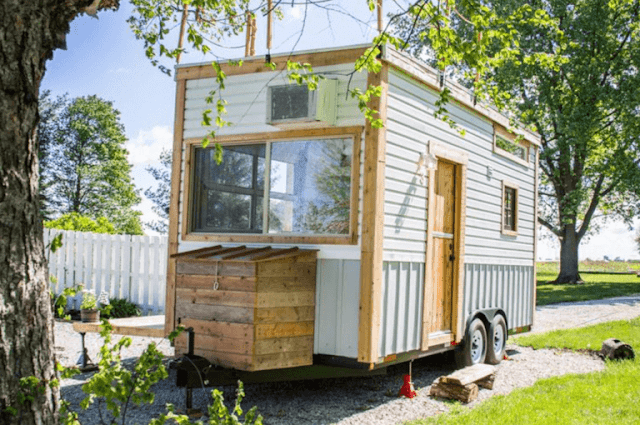 You can view the home's sales listing on Tiny House Listings here!